Technology has made it increasingly easier over the years for many hypnotherapists to produce high-quality audio hypnotherapy recordings at home yet one of the things I have repeatedly noticed over the years I’ve worked in this industry is that many hypnotherapists (and, for that matter, therapists in general) seem to be rather ‘technophobic’. And, quite simply, there is no reason to be. I often think of my mother who once told me she was afraid to go on her computer in case she ‘did something wrong and broke the internet’. I let her know that the internet was more likely to break her unfortunately than anything she could do. Over time and with experience, that fear has managed to subside nicely and while the internet isn’t something that is necessarily her cup of tea, she knows that her ability to damage it is pretty limited. 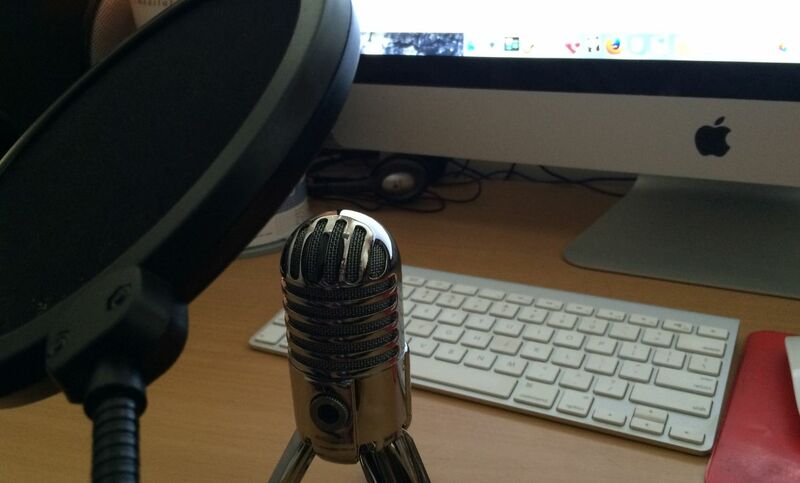 So why would a hypnotherapist want to embrace technology and learn how to record audio of their scripts? From a business perspective, these recordings are incredibly useful in either being offered out in return for prospective client’s details so that they can be marketed to. When you consider that the hypnotherapist’s tool of the trade is their voice, it makes sense that this is what you would want to offer people as a ‘taster’ so that they can get an idea of if they’re going to like working with you or not. Of course, these recordings could also be offered to existing clients to listen to in-between sessions or to potentially sell online as a passive revenue stream. On top of this, when you consider how inexpensive technology is now, what most hypnotherapists could achieve with the equipment that they already have may surprise them. Armed with a little more knowledge, they could take the quality of their recordings up to a whole new level that just says ‘professional’. 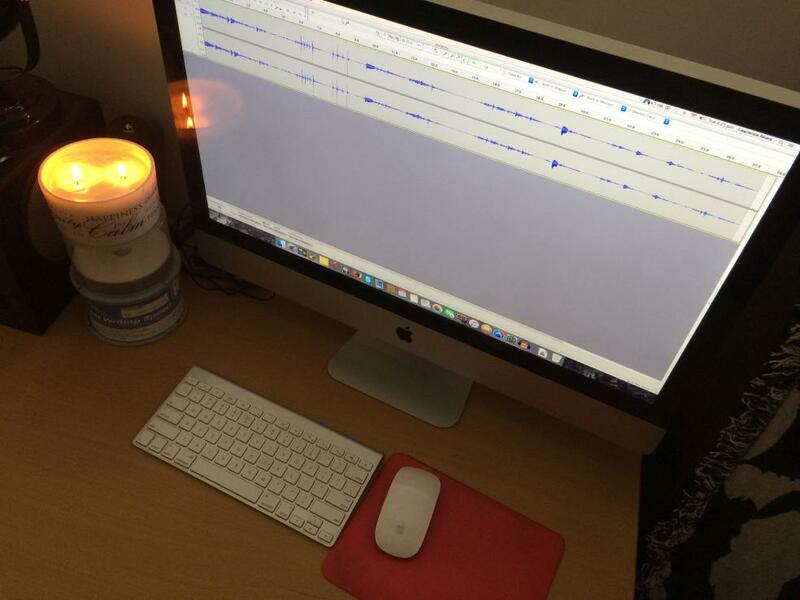 On the flip side of that, when I’ve talked about recording sessions with hypnotherapists, there is this idea that it has to be done in a professional recording studio, which ultimately costs lots of money. Sure, you can do that and yes, it will sound great. But what if you could get results that sound almost as good with a minimal spend at home? Wouldn’t it make more sense to put that money back in your pocket and develop a new skill that you could use anytime? So let’s look at that. Let’s look at a few tips of what hypnotherapists can do to make great sounding recordings with the equipment that they have without spending a fortune. This is an easy one. Most of us have a computer. If it is a laptop, chances are it may already have a built-in microphone. Having said that, the quality of these can be sketchy at best and so if you are going to spend money, it may be worth spending a little bit on a decent quality microphone that you can either plug into your line-in or USB on your computer. I’d always recommend a USB microphone as this will simply be plug in and use as opposed to line-in where you may need to adjust settings on your computers sound card. You may also want to consider getting what is known as a ‘pop filter’ for your microphone. This is a filter that goes between you and the microphone so that when you say any sound that involves a great expulsion of air than normal (such as B or P words), then it helps to ensure that it doesn’t cause distortion in the recording. Ensuring that you have a quiet environment to record in is going to be vital to the quality of your recording. You’ll need to find an environment not too dissimilar to your hypnotherapy environment; peaceful and where you can record with no interruptions. As much as technology has done wonderful things over the years, it still isn’t at a point where it is going to automatically and easily remove the sounds of pets, traffic and demanding kids and/or partners from your recordings. As unusual as it may sound, if space permits, recording in your closet can be an ideal solution. The clothes will help to dampen any natural reverb that may occur, given your recording a more intimate feel. This is another easy one for you; there is a free piece of software called Audacity that you can download and install which will provide you with all your hypnotherapy recording needs. It works across multiple platforms (Windows, MAC and Linux) and provides you with not only the ability to record easily but also to edit and apply effects. Once you’ve finished recording your vocal take, you’ll also be able to add background music as well as adjusting the volume to ensure that your voice isn’t lost in the mix. Once finished, you’ll be able to export it as a WAV or MP3 to make it easier to apply to your clients. When you’re doing your recording, it may be wise to have your script on an iPad or tablet so that you can read it and ‘turn the page’ without making too much noise. If you make a mistake, don’t stop and start all over again. Instead, simply pause, clap, and repeat from the start of the previous sentence. This will create a spike in your audio waveform (that is the visual representation of your recording) to help identify where the mistake is and to quickly edit it out using the highlight and delete function in Audacity. In my experience, hypnotherapists also tend to forget that they’re recording a hypnotherapy session and can find themselves working through the script faster than they would if the client was there. Take a moment to get yourself into ‘the zone’, even if it means closing your eyes, taking a deep breath and visualising your client in front of you or recalling that time you felt you gave a brilliant session. To be able to ensure that you pace yourself appropriately while recording will make the difference between editing out a few mistakes and having to re-record the whole thing. Of course, if you feel that this is still all a bit too much for you, there are a few options available for you. You could come and join me for one of my ‘Recording for Hypnotherapists Workshops’ where I will go through all of these points step by step and arm you with a swag of resources that will allow you to reinforce and continue your learnings. I’ll not only be continuing to run the workshop in Melbourne in 2019, but I’ll also be bringing it interstate – stay tuned for more details! Alternatively, if you just want someone to ‘do it’ for you, you could approach me to do a recording session with you where I will record it, edit, master and provide the finished WAV and MP3 files to you. For more information on this service, click here to drop me a line. Lastly, if you’re keen to learn but you can’t wait for the workshop, you could look at the online version of the workshop which currently has around 5 hours of content to help you learn everything you need to know! Think back to when you first learned how to become a hypnotherapist. You might recall that feeling of excitement and nervousness as you learned all these new techniques. As you began to work with people, you may have found that you got it right but then sometimes got it wrong. It was about experimentation and experience that allowed you to become better and better until you became the professional clinical hypnotherapist you are now. It’s the same thing with learning any new skill, you will experience moments of conscious incompetence when you first begin until such time that you have practised and experienced enough to feel more confident. It’ll be exactly the same as you learn new skills around recording however once you have got them down pat, you’ll begin to realise that this is actually a lot more fun, easy and enjoyable than what you ever anticipated and that you have nothing to worry about all along. FREE online course with over 1 hour of content to show you the basics right away. Click here to access the course immediately. Access the course here and enter the coupon code RFH2018 to get a discount off the full price. Payment plan options are also available. Ready To Jump Into The ONLINE VERSION Of The Workshop?